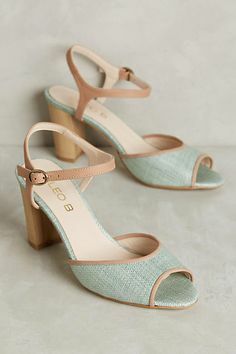 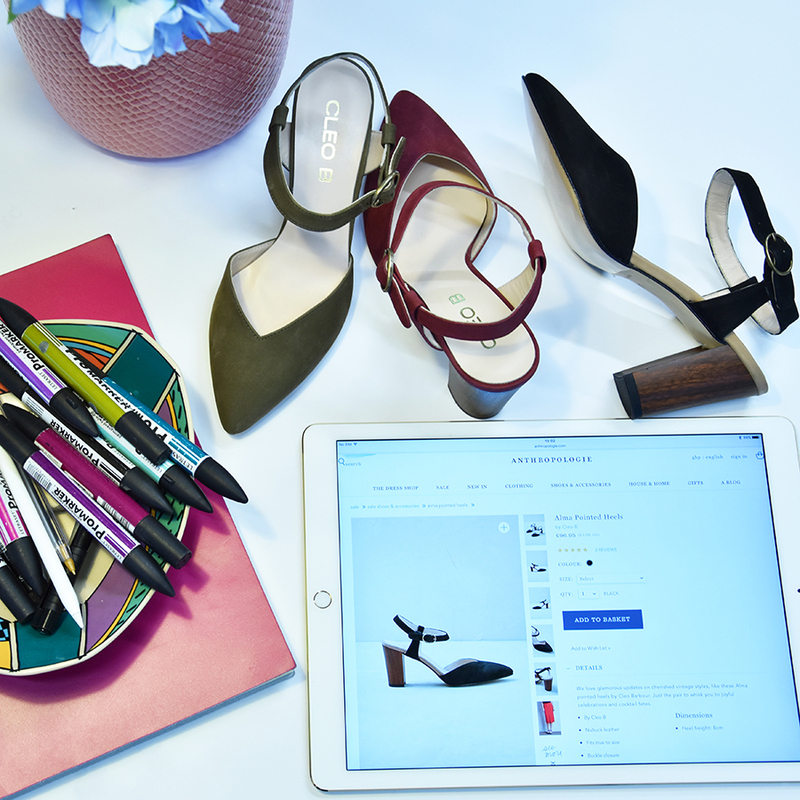 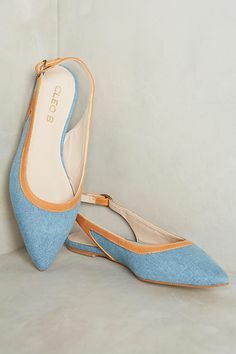 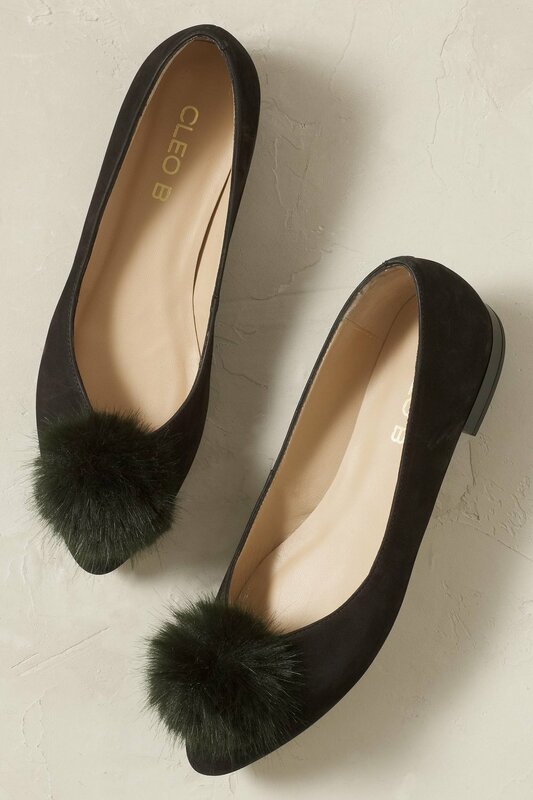 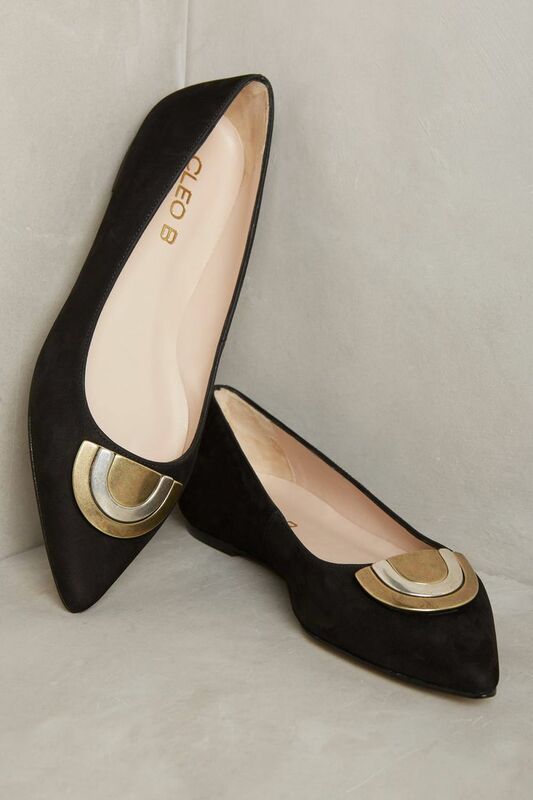 Philadelphia based fashion and lifestyle company Anthropologie are passionate about collaboration and partnered with Cleo B for three seasons on a collection of shoes designed to appeal to their bohemian-chic and sophisticated female shopper. 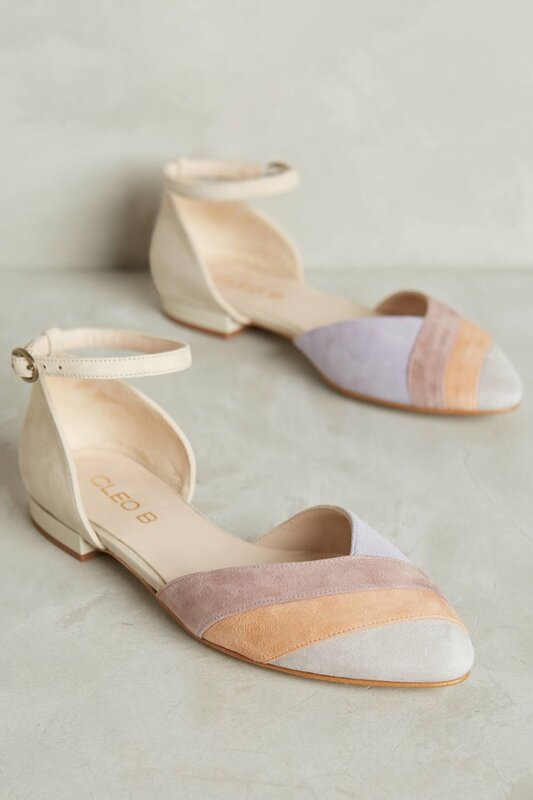 Cleo tweaked signature styles in enticing new colour ways and created further new designs that aligned with Anthropologie's seasonal moodboards. 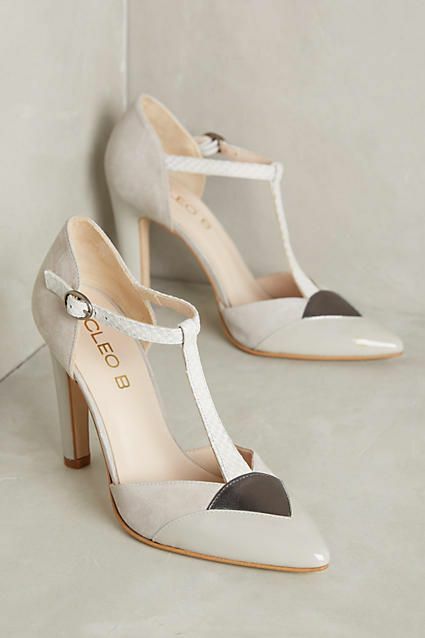 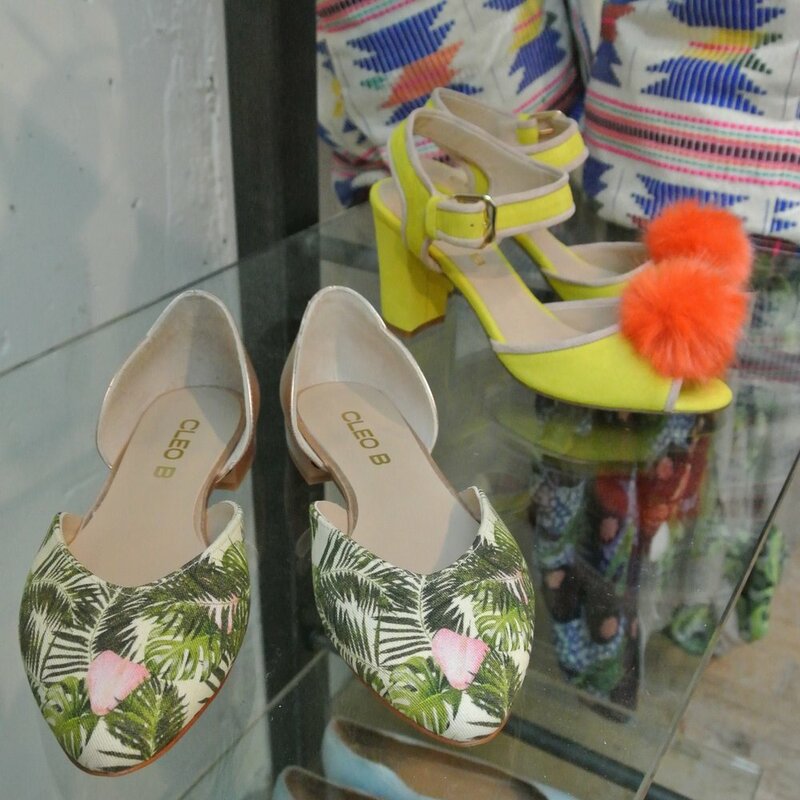 The Cleo B team also created custom prints for flats and sourced new embellishments to decorate heels and sandals. 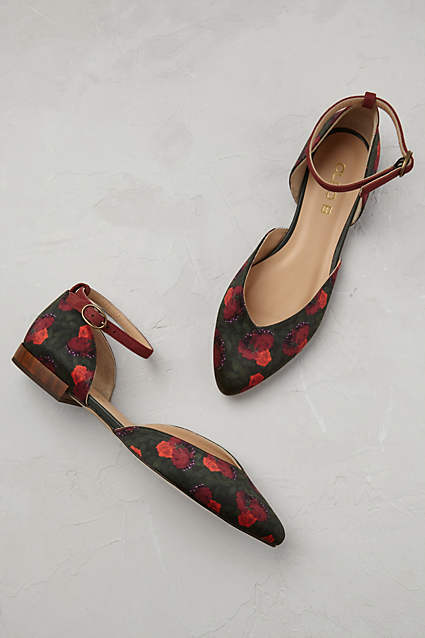 The collection was sold in the U.K. and U.S.A Anthropologie stores and online.